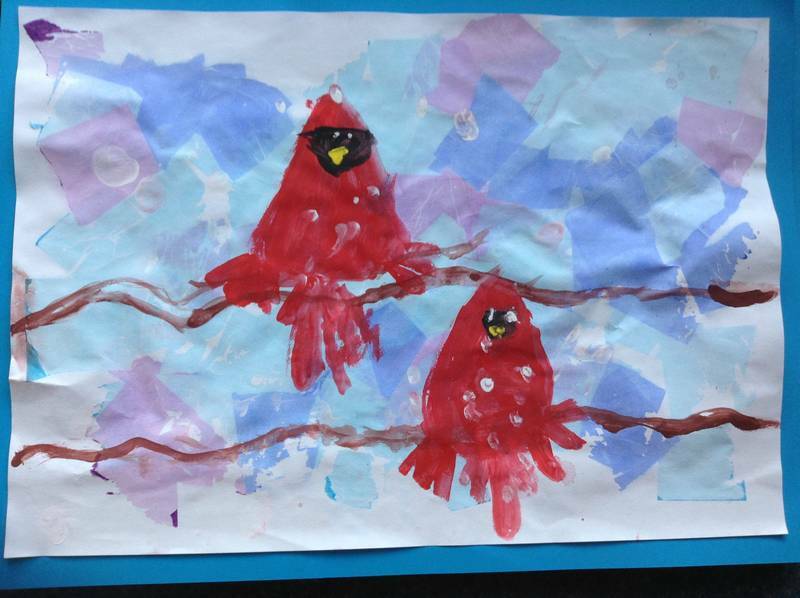 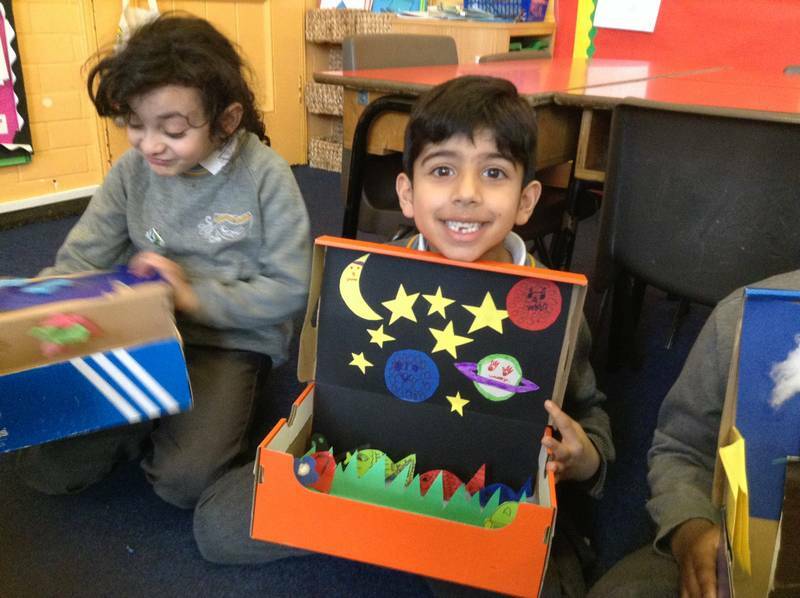 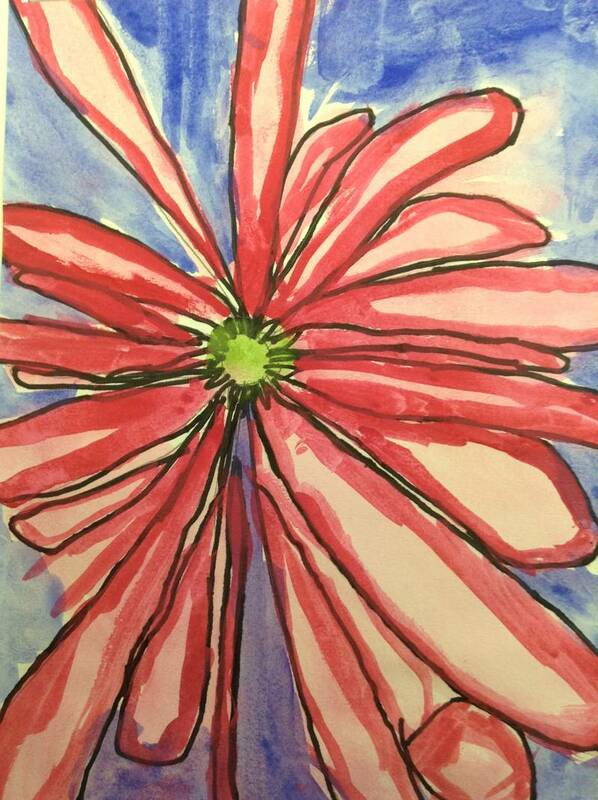 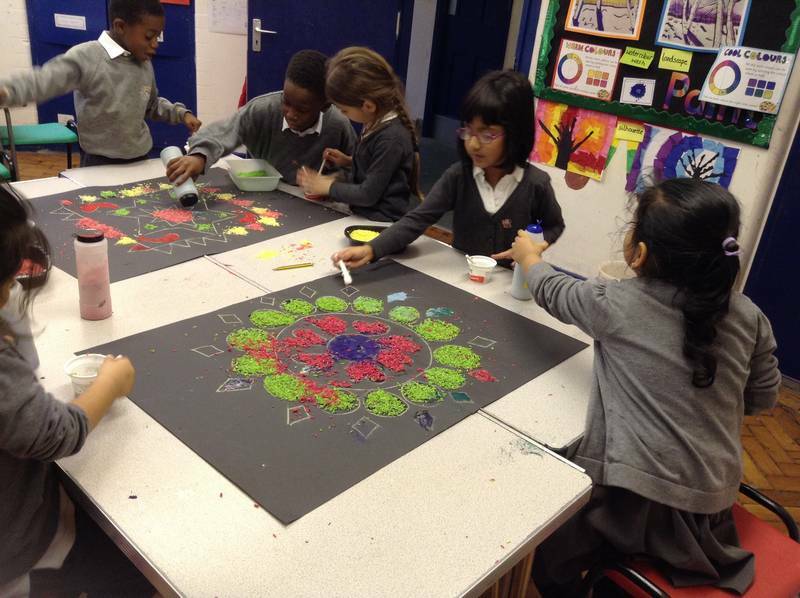 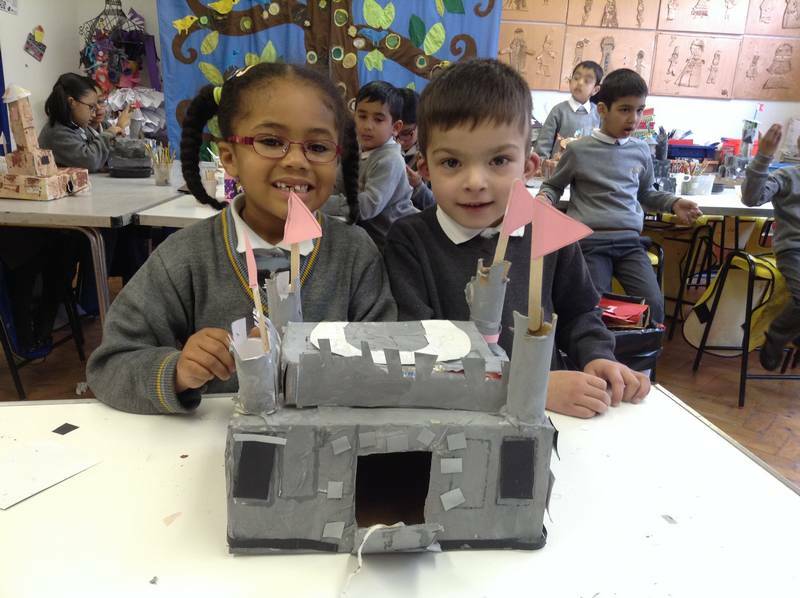 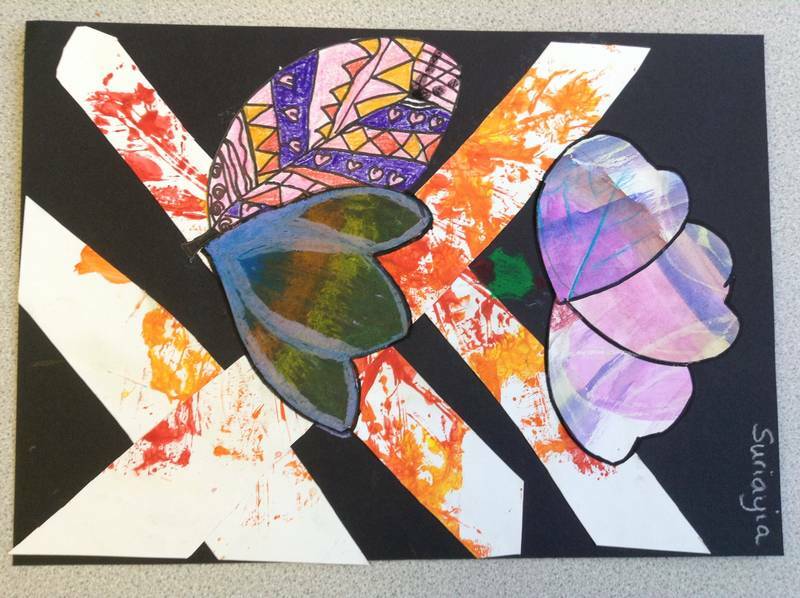 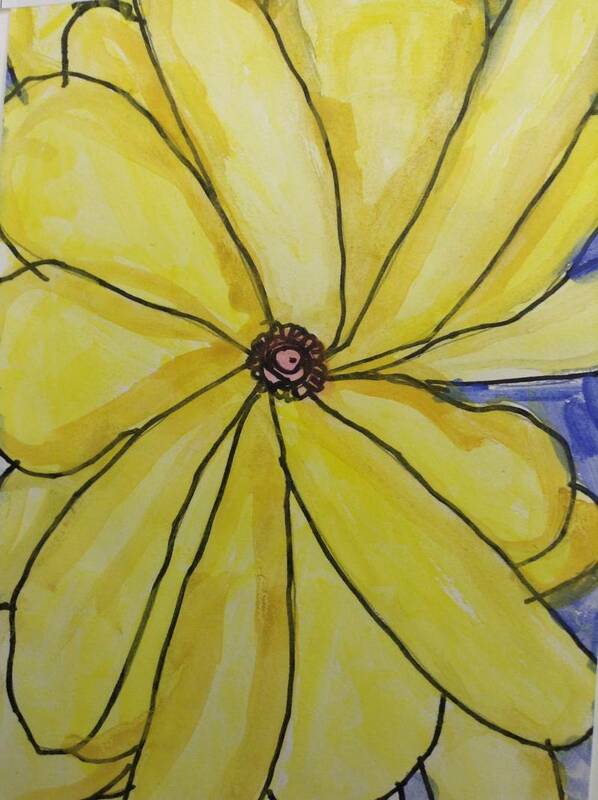 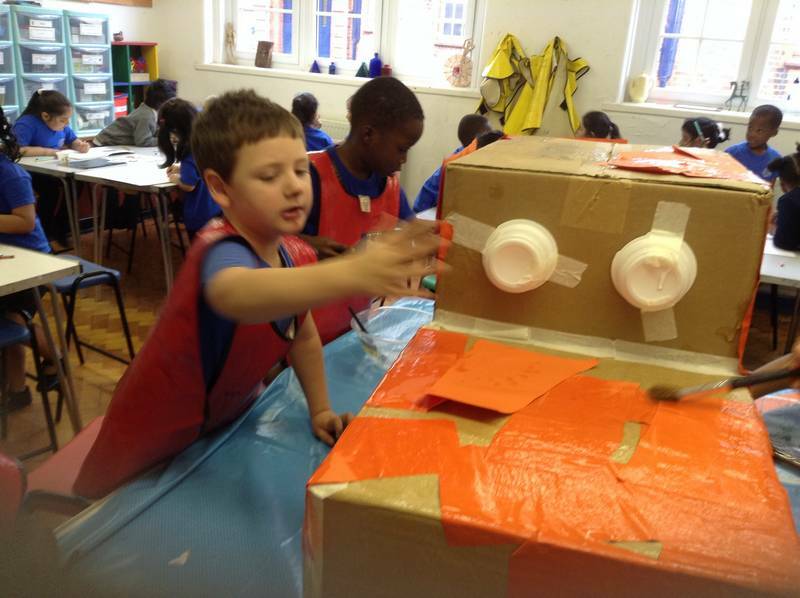 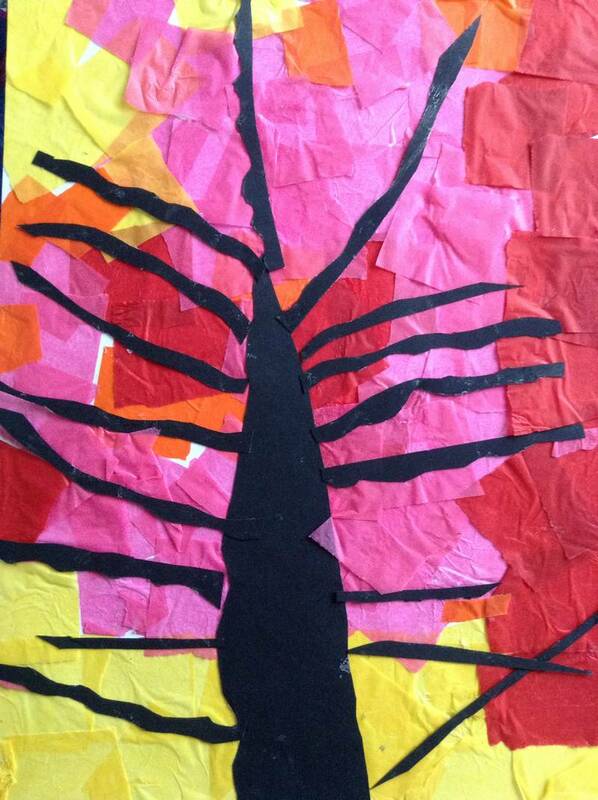 In year 1 we use a wide range of different materials and techniques to explore, discover and have fun with art. 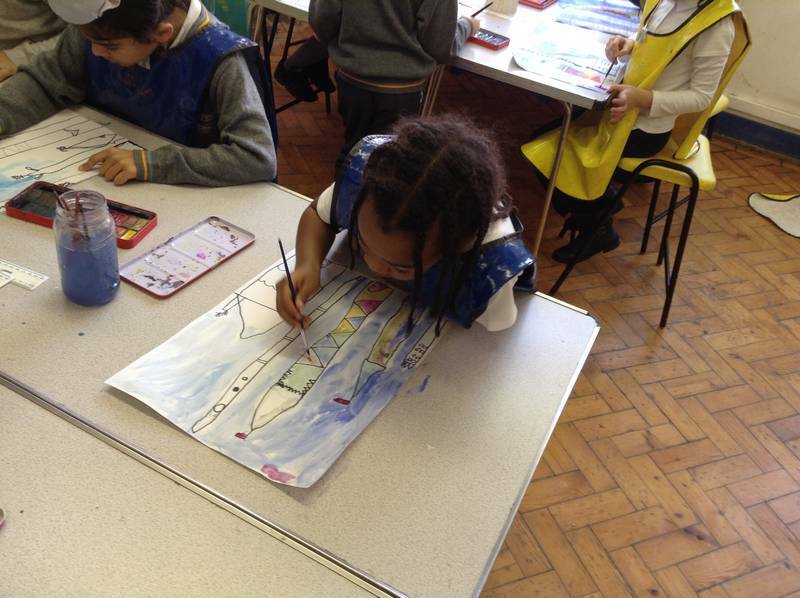 Some of the highlights include learning about art from around the world linked to our geography explorers topic, creating large scale artwork portraying the seasons linked to our learning in science, and creating superhero characters and 3D settings in parent workshops linked to our literacy topic based on the story of ‘Supertato’ by Sue Hendra. 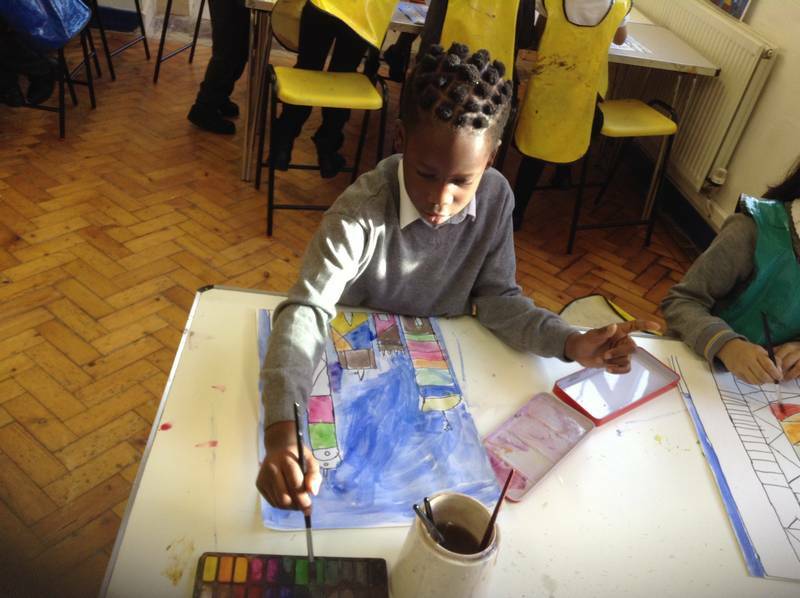 In year 2 we focus on the discipline of paint and develop our painting skills learning about great painters and colour theory along the way. 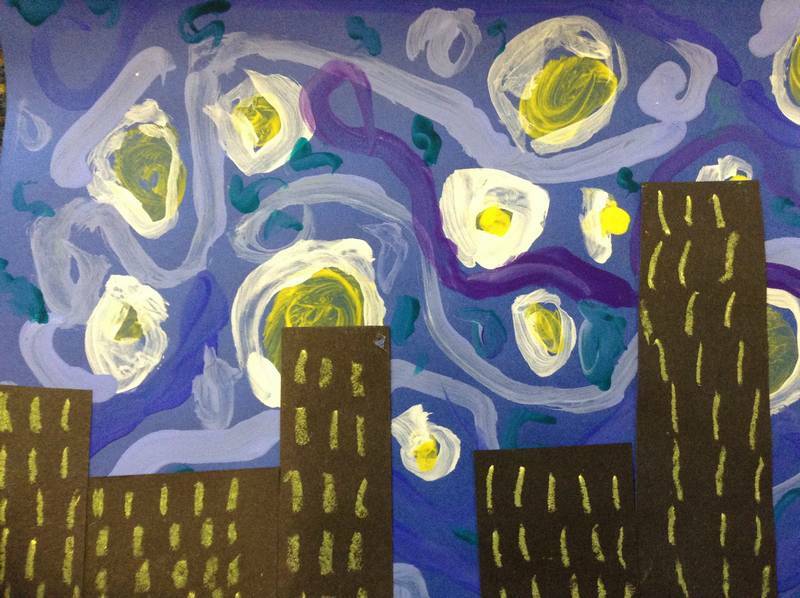 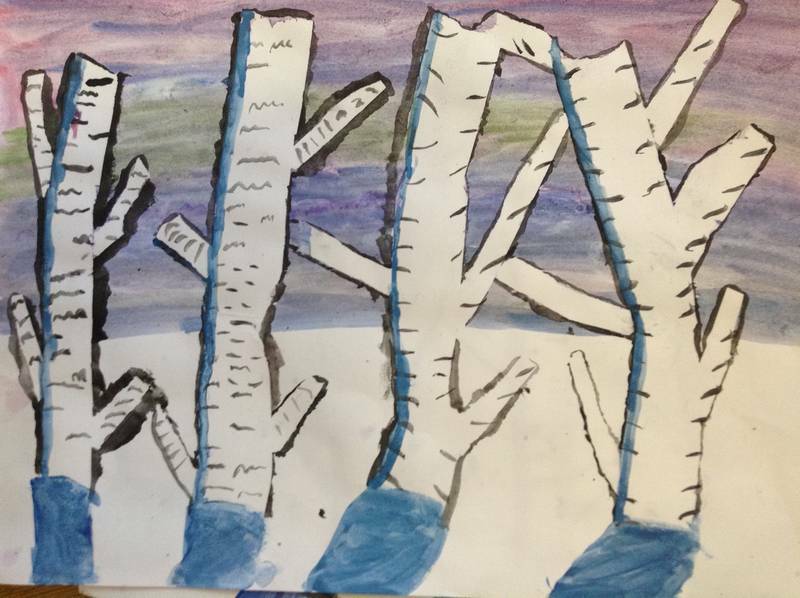 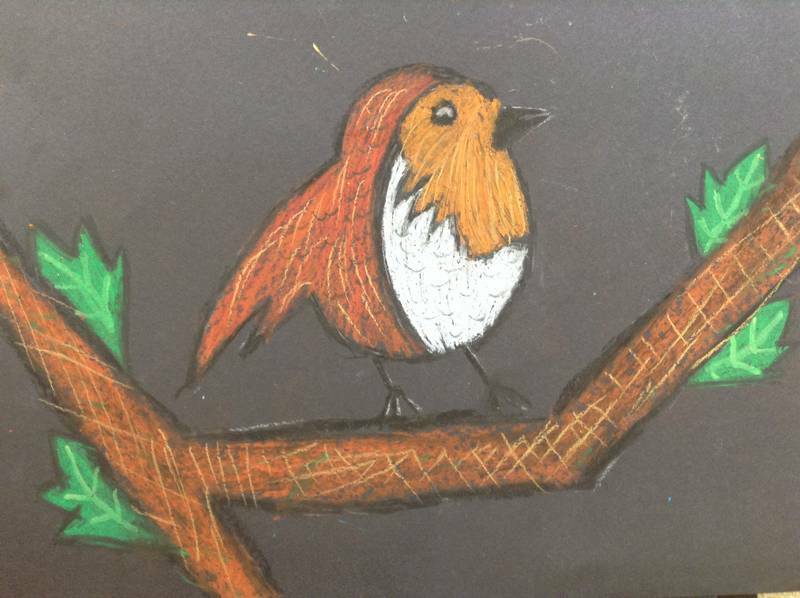 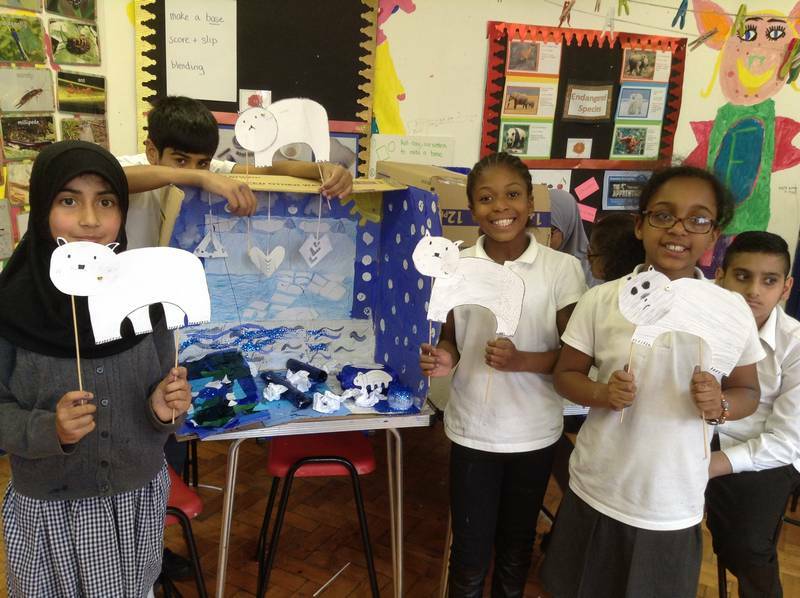 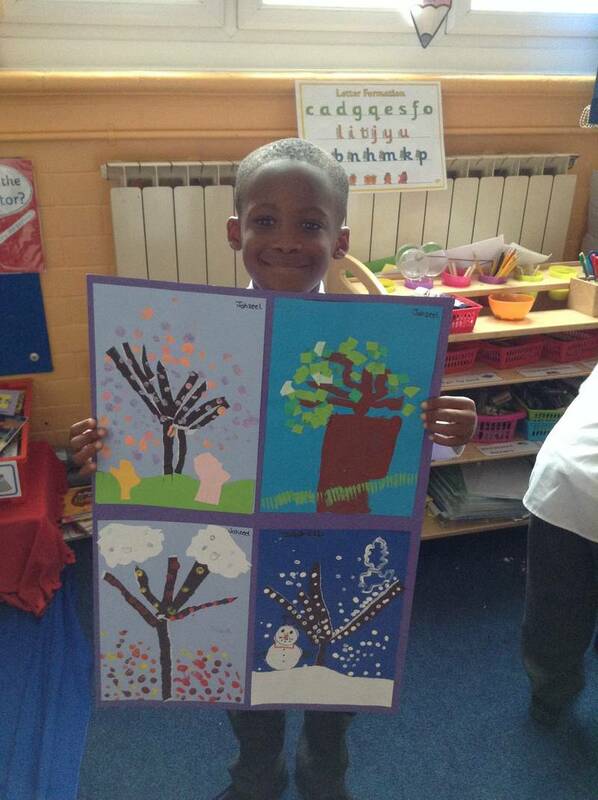 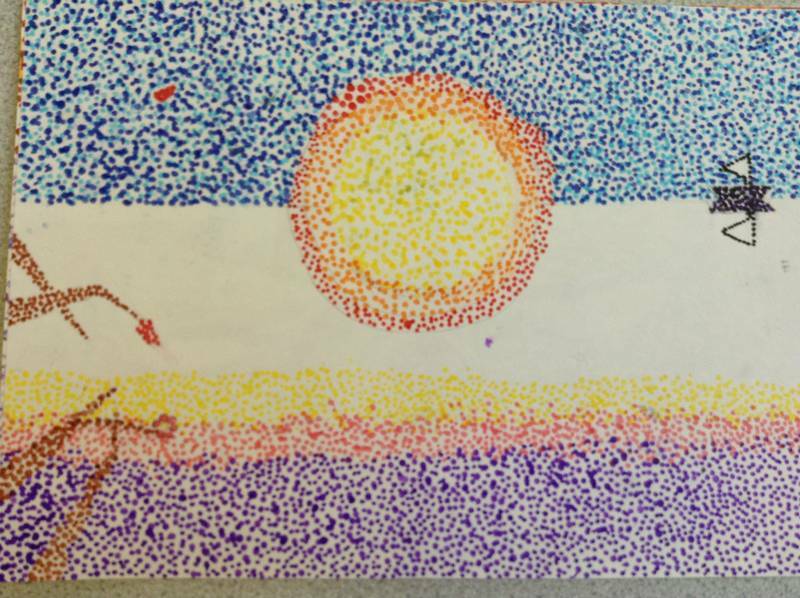 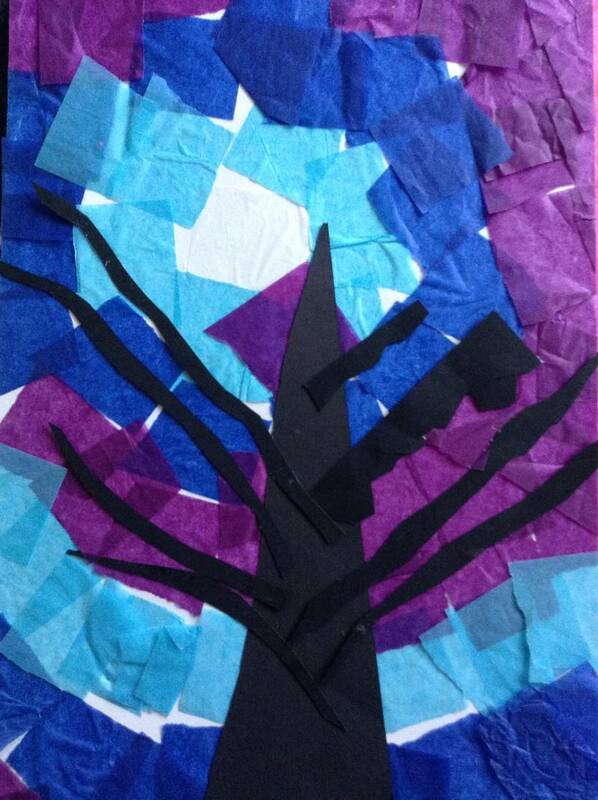 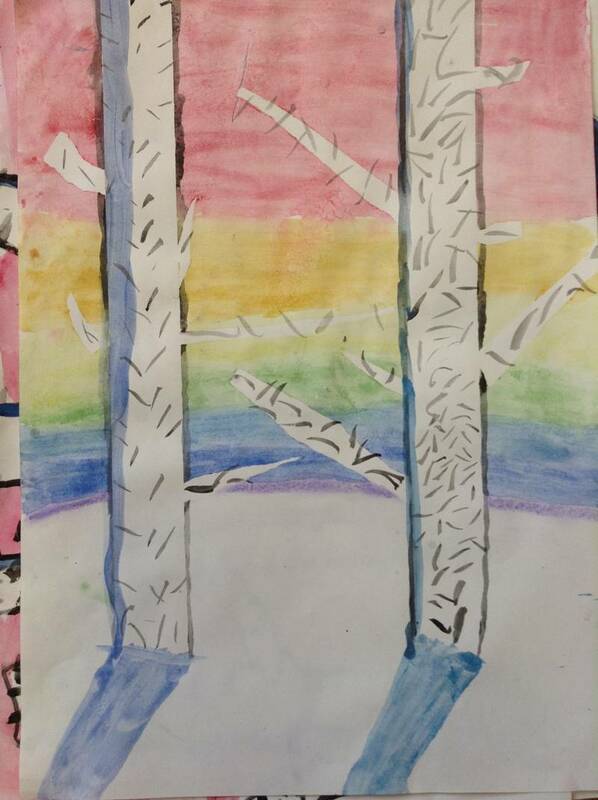 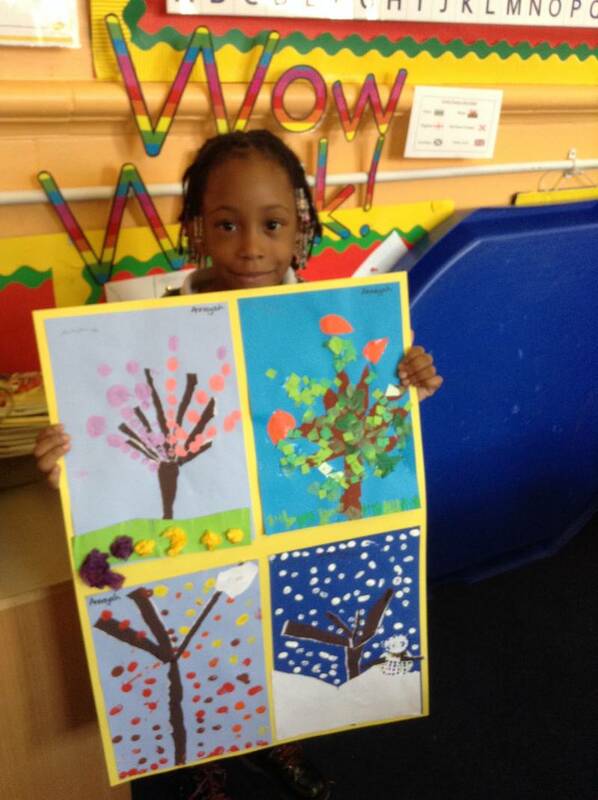 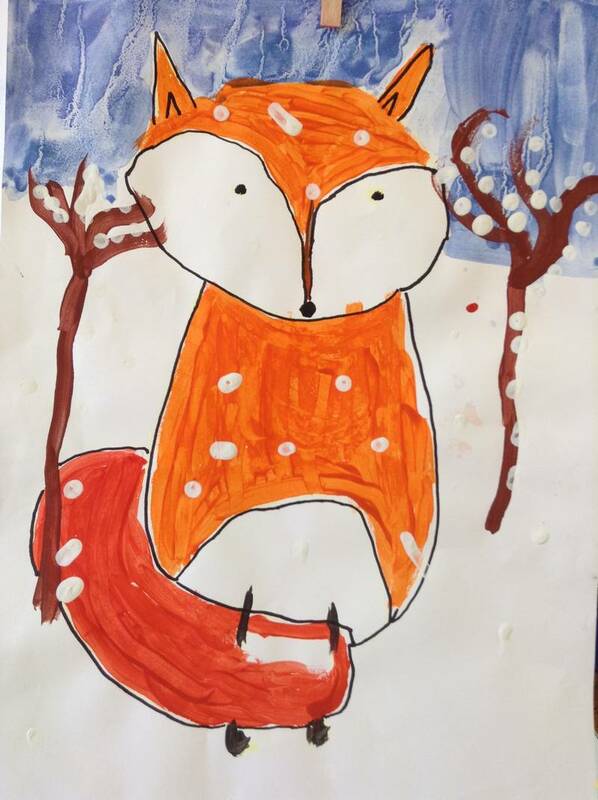 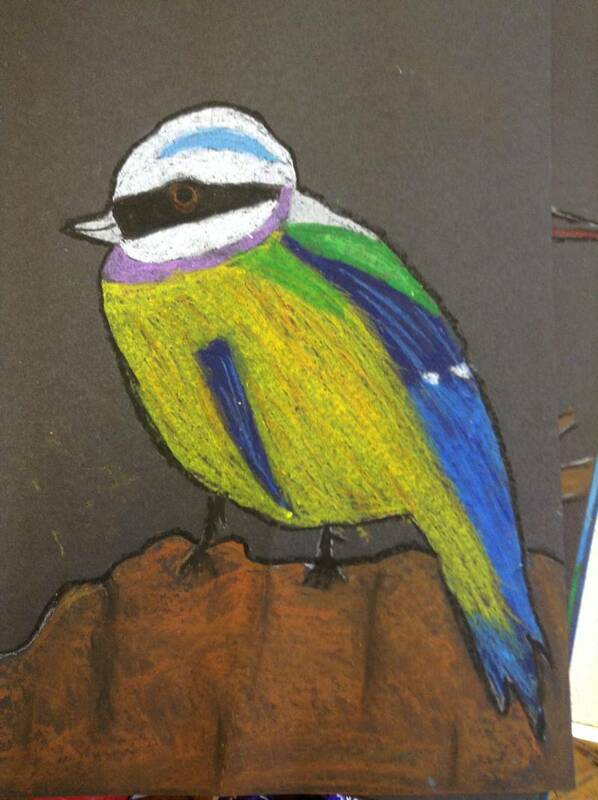 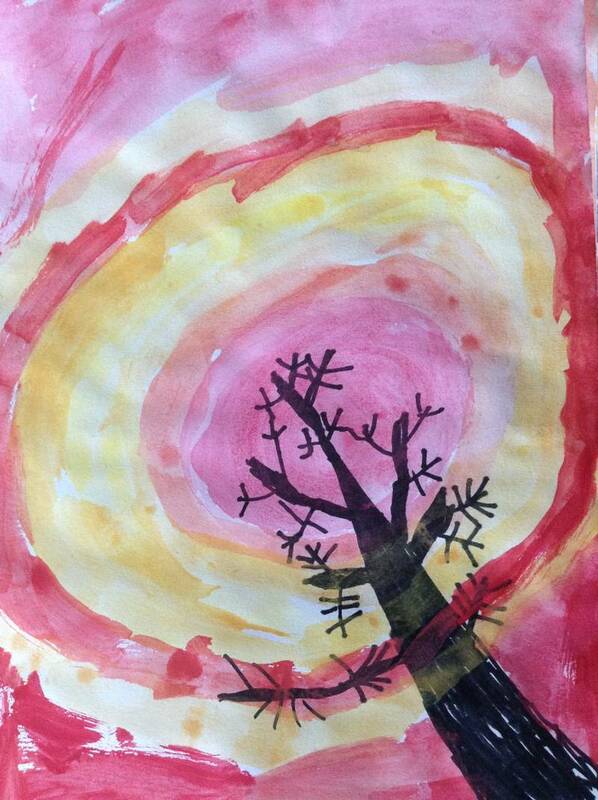 Some of the highlights include creating Klee-inspired colourful cityscapes, creating winter landscape pictures using silhouettes against warm and cool colours, learning about foreground, middleground and background to compose pictures with animals in the snow, and letting our imaginations and creativity run wild in making Rousseau-inspired jungle paintings. 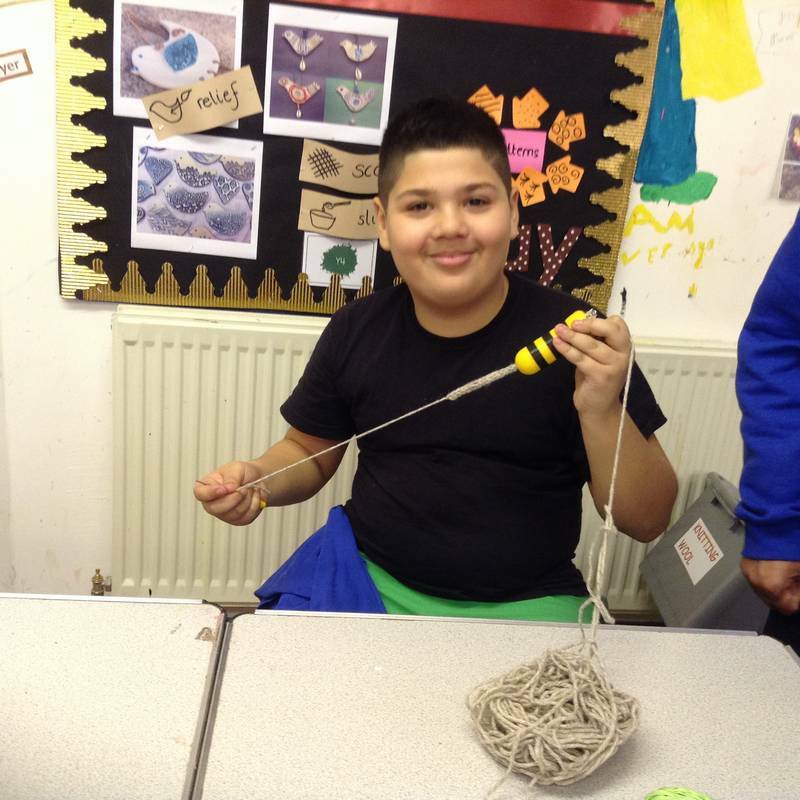 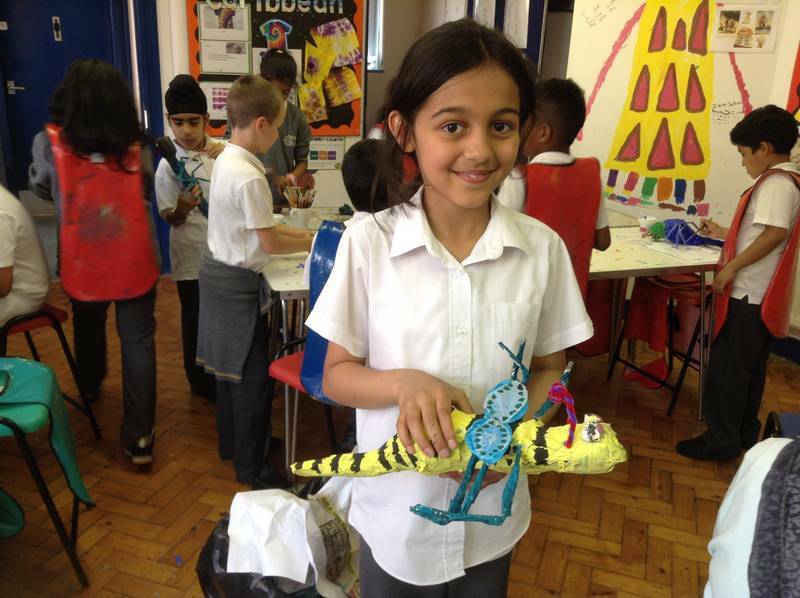 In year 3 we learn new textiles skills including weaving and stitching, and we have the opportunity to lead our own creative event in which we share our creative learning journey with parents. 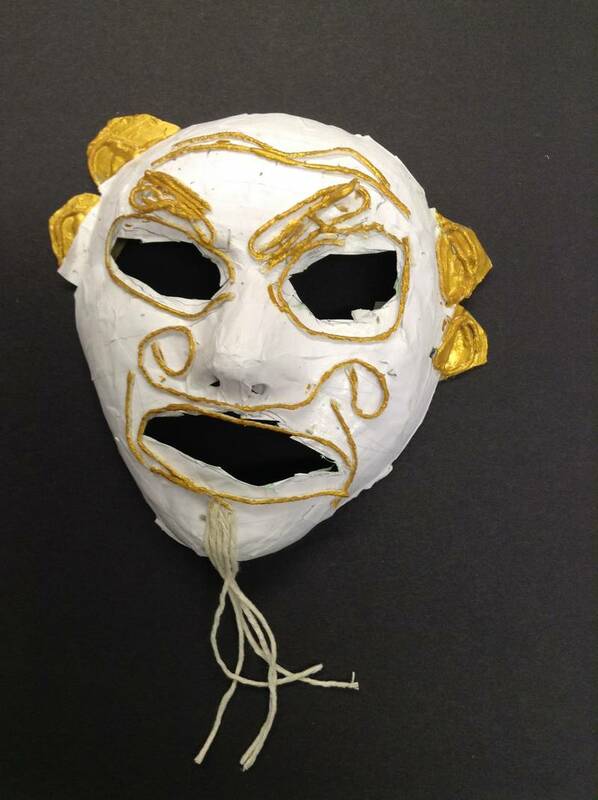 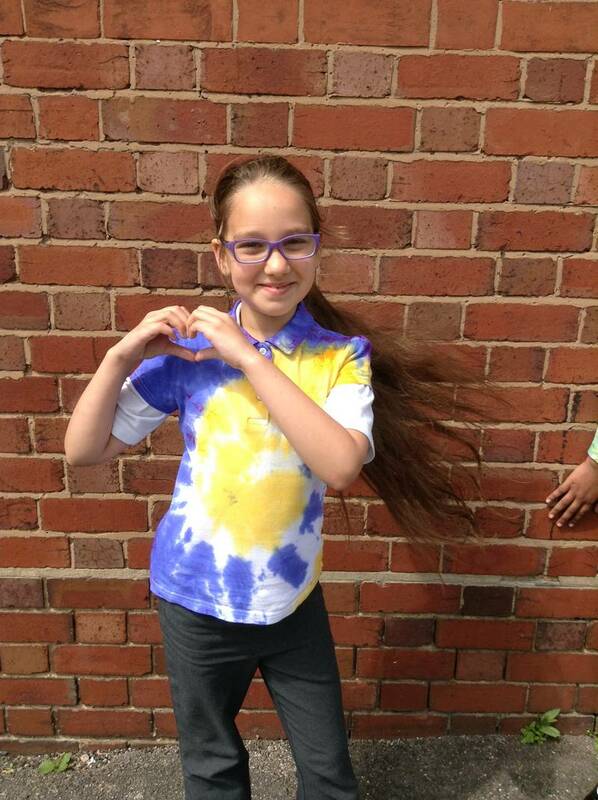 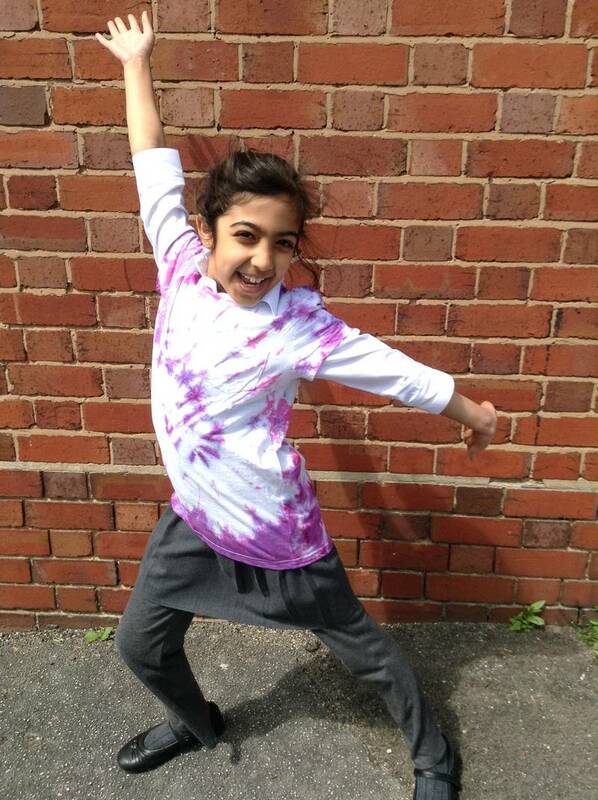 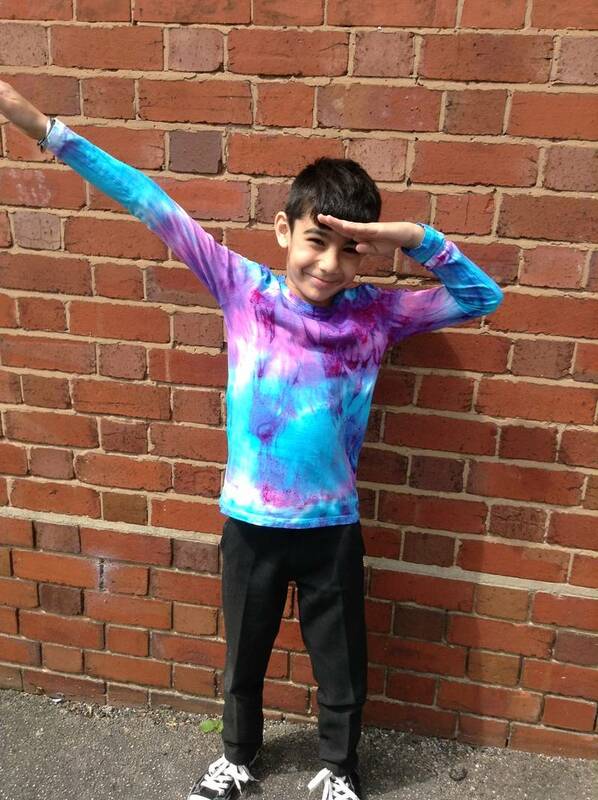 Some of the highlights include creating circle weavings with colourful yarn, showing off our handmade tie-dye t-shirts in a fashion show linked to our Caribbean project, and creating and performing with theatre masks linked to our Ancient Greece topic. 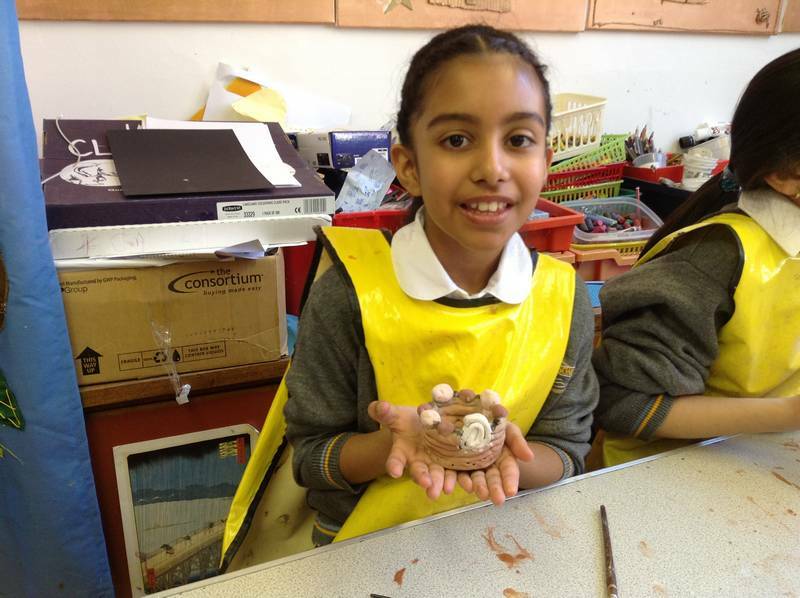 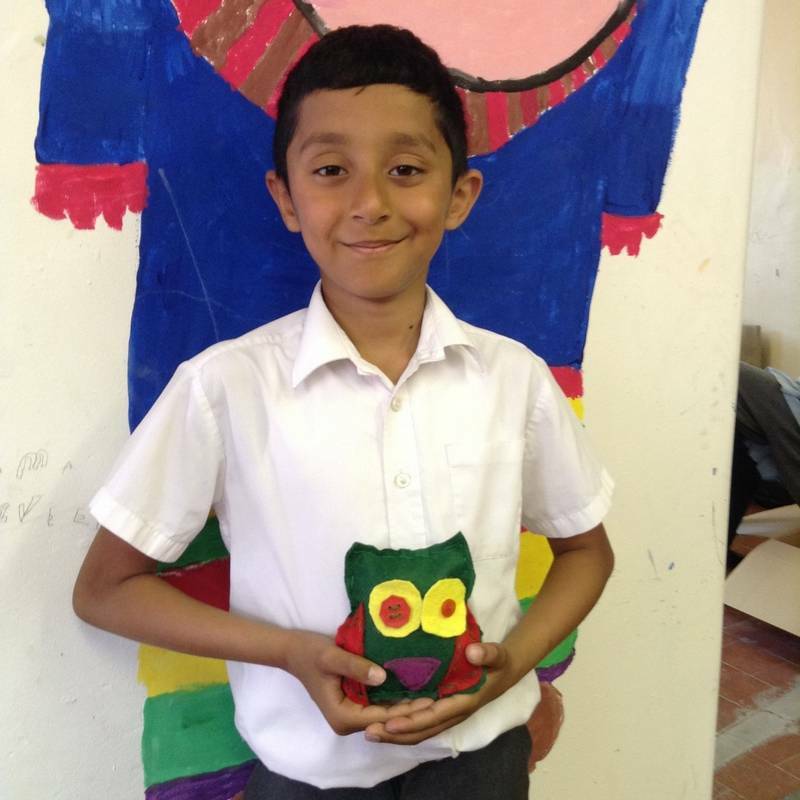 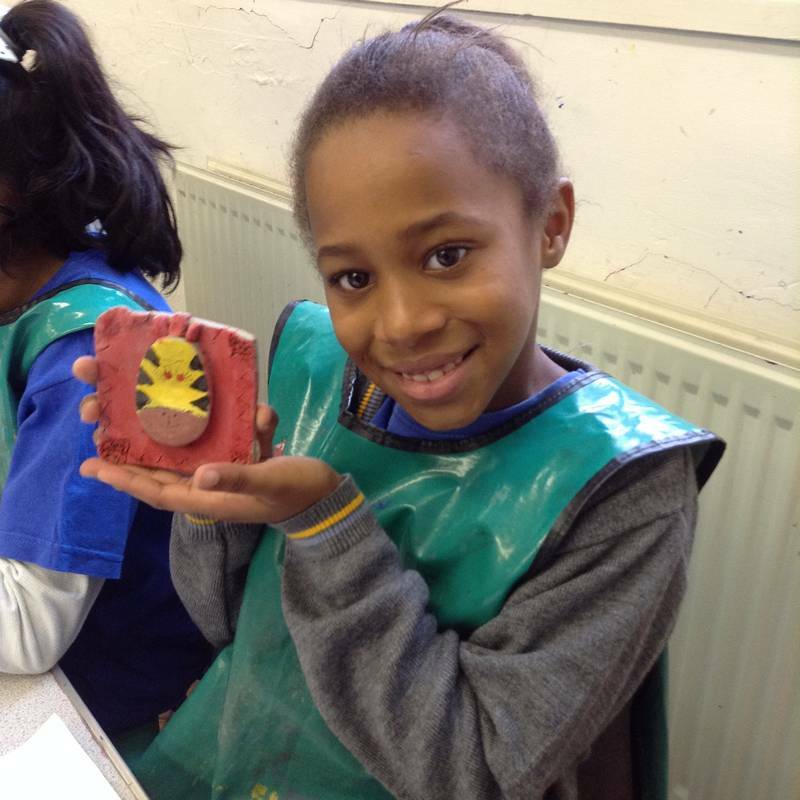 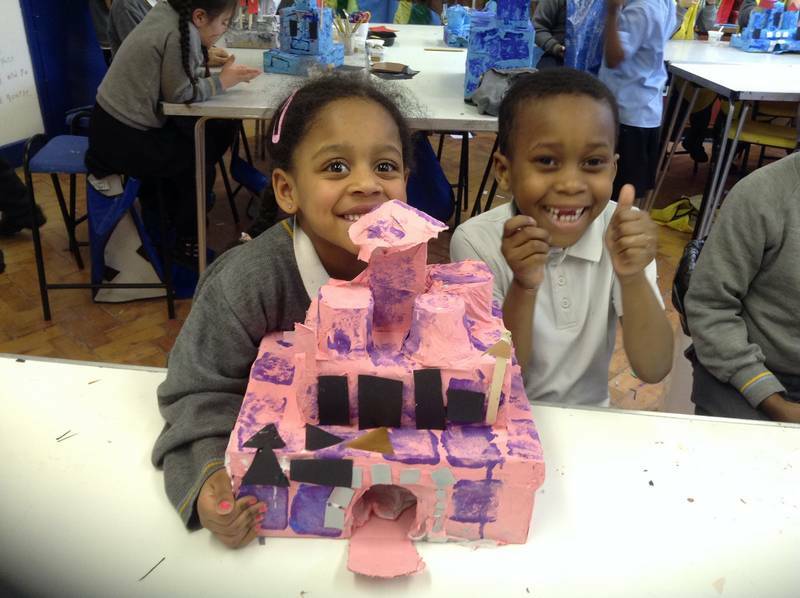 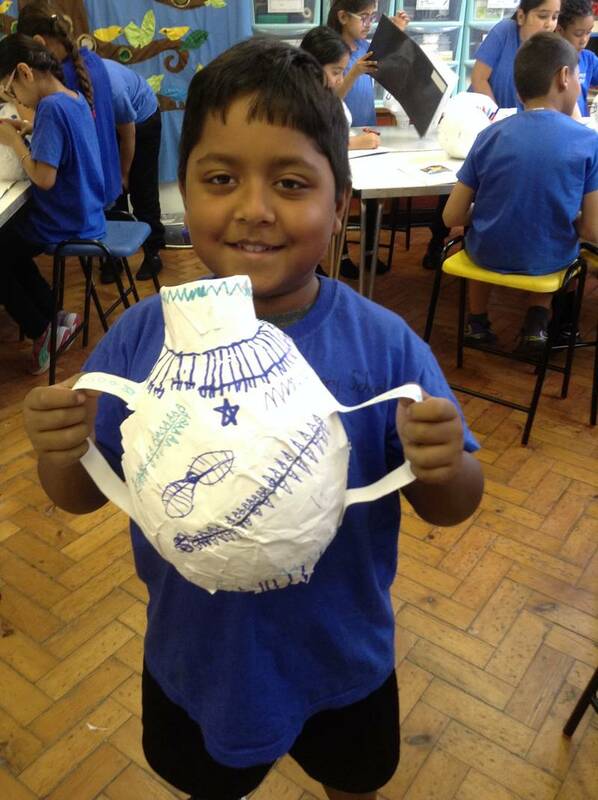 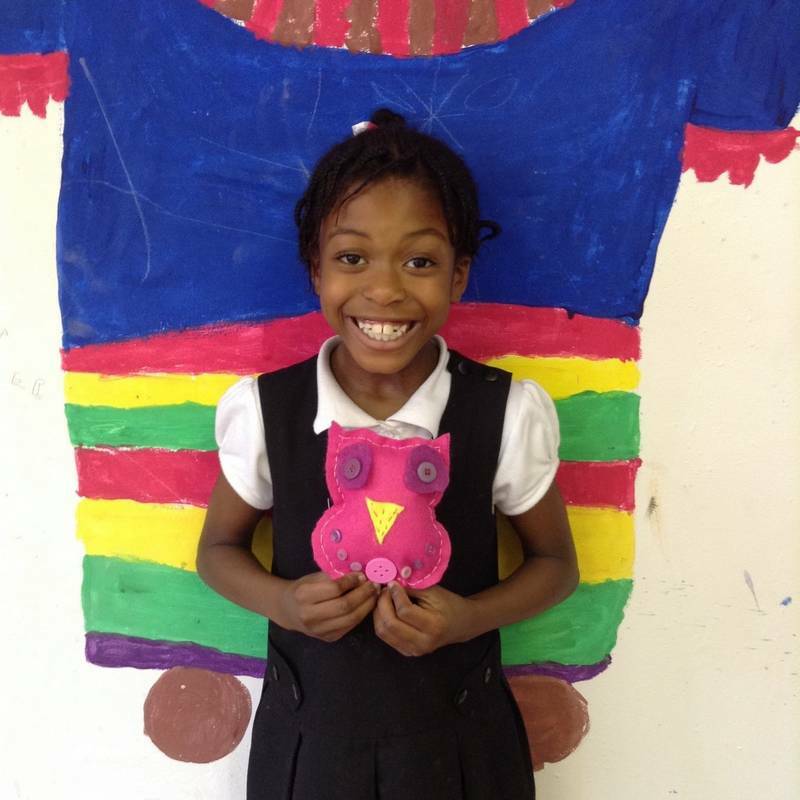 In year 4 we focus on the discipline of 3D and we develop our skills in using clay, 3D modelling materials and techniques such as paper mache. 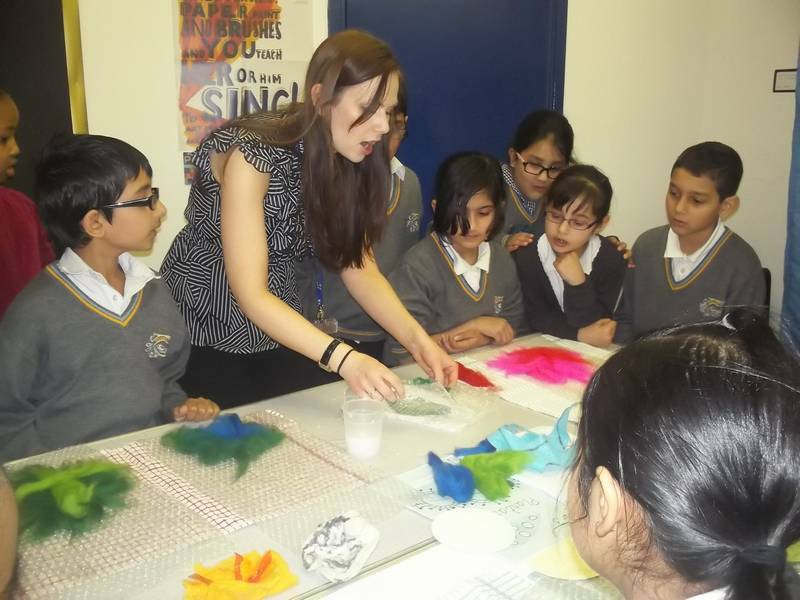 We have the opportunity to lead our own creative event in which we share our knowledge and skills with parents through workshops. 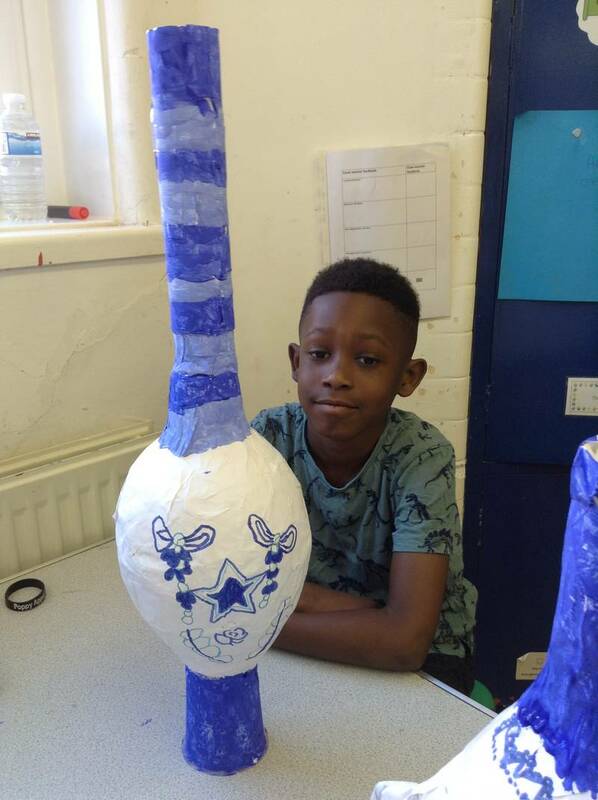 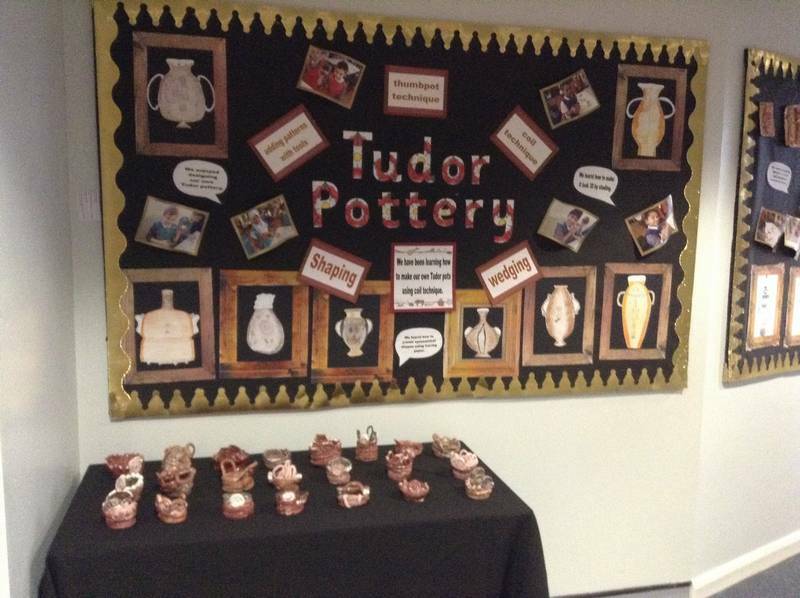 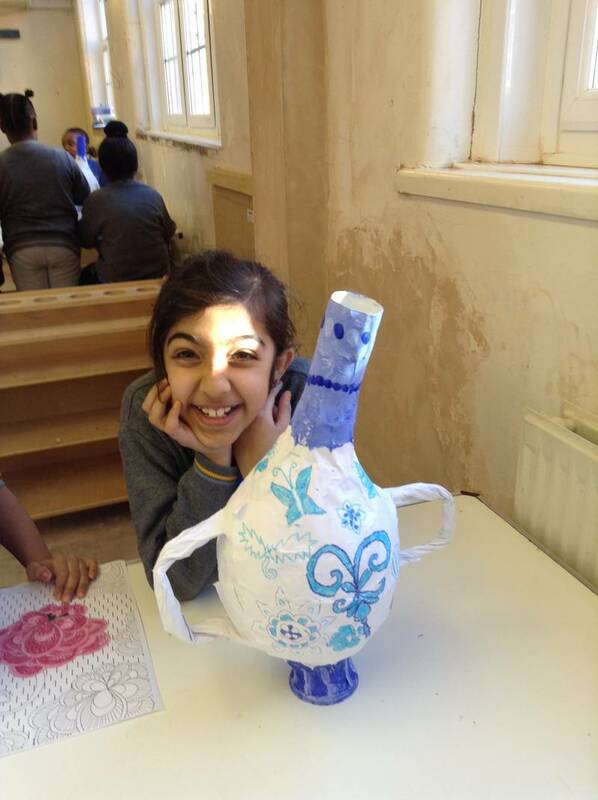 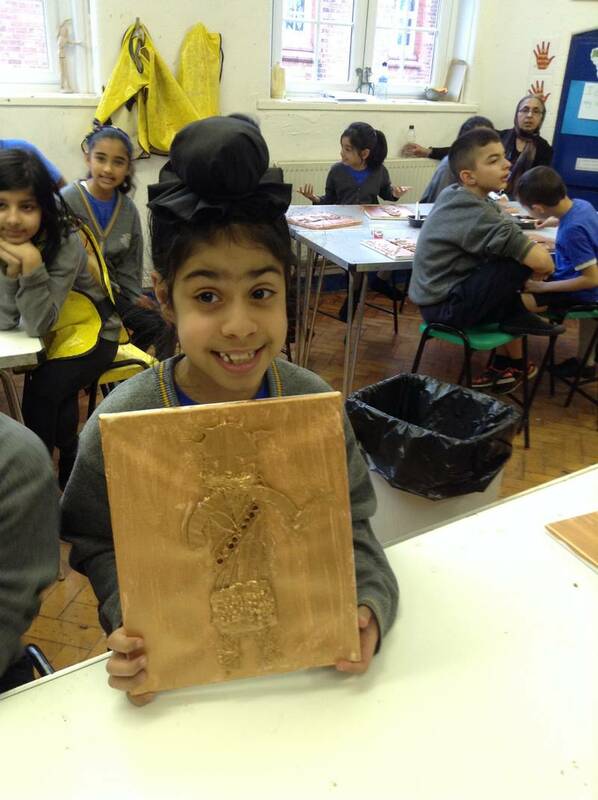 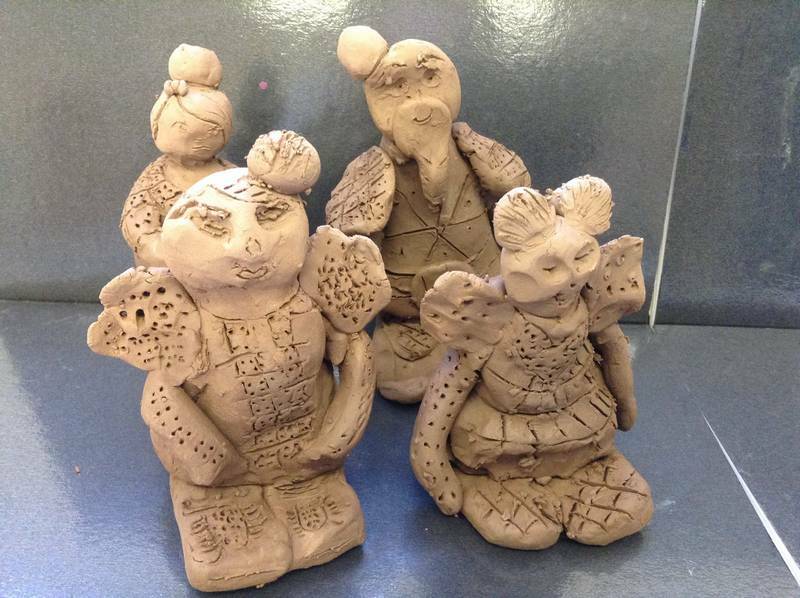 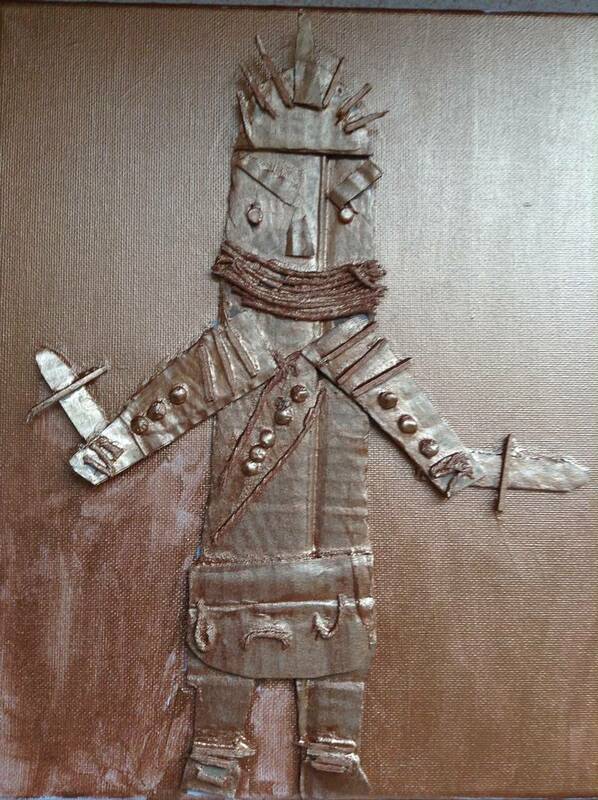 Some of the highlights include creating paper mache vases, creating personalised clay tiles and clay pots, and creating detailed relief plaques depicting warriors linked to our topic about the ancient civilisation of Benin. 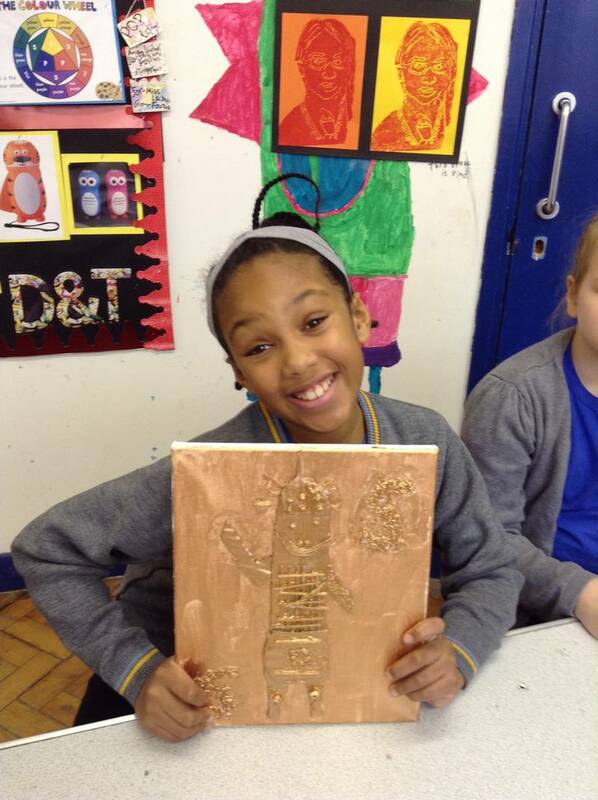 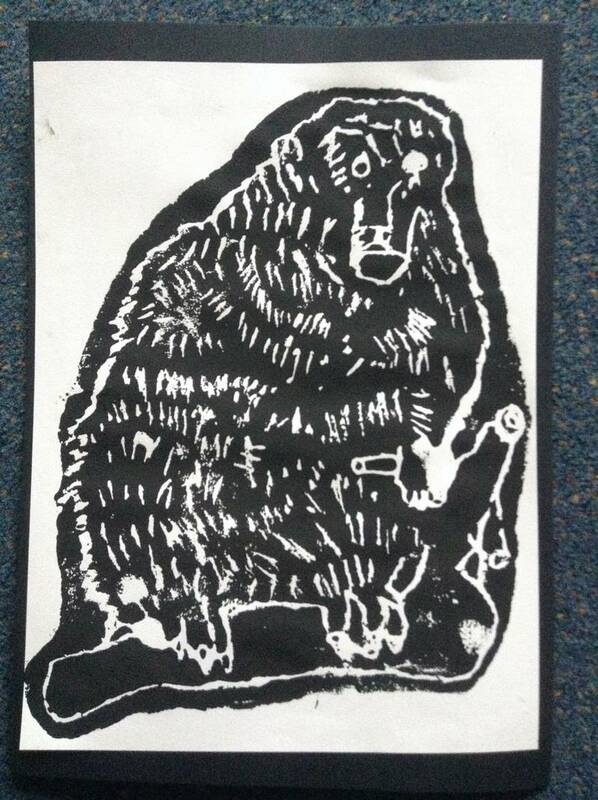 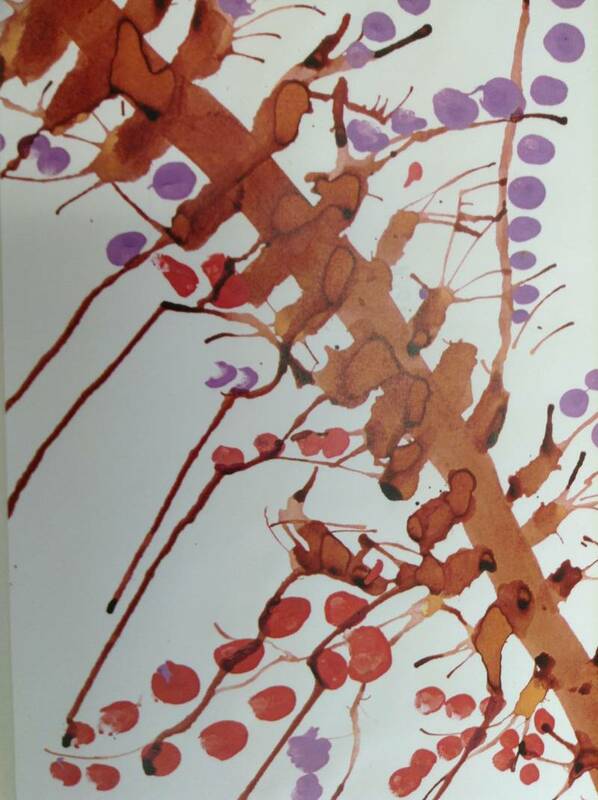 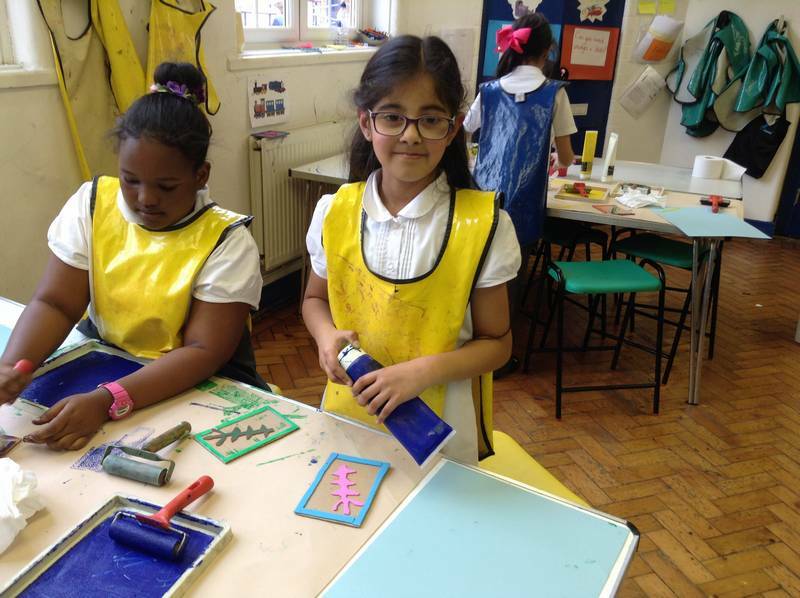 In year 5 we learn different methods and techniques for printmaking and develop our knowledge of the history of printmaking and famous printmakers such as William Morris. 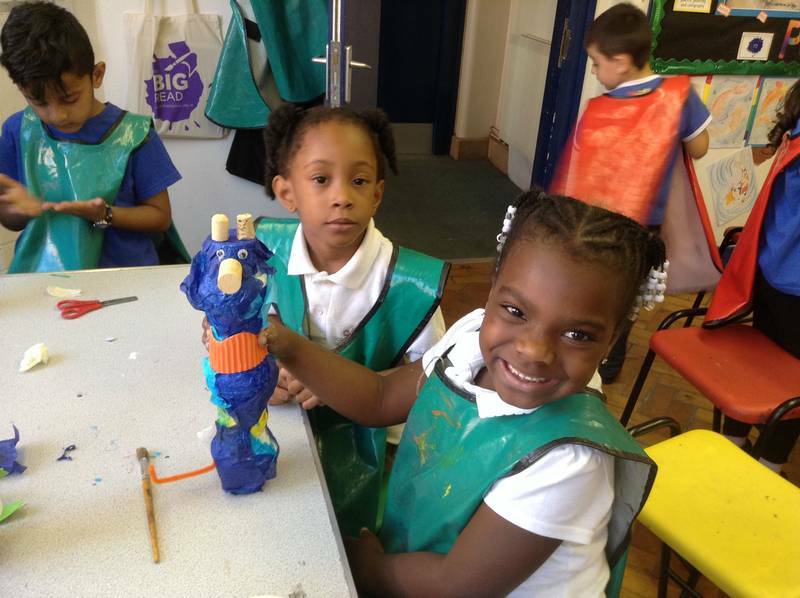 We have the opportunity to lead and shape a creative project culminating in a community event to raise funds and awareness for a cause that we are passionate about. 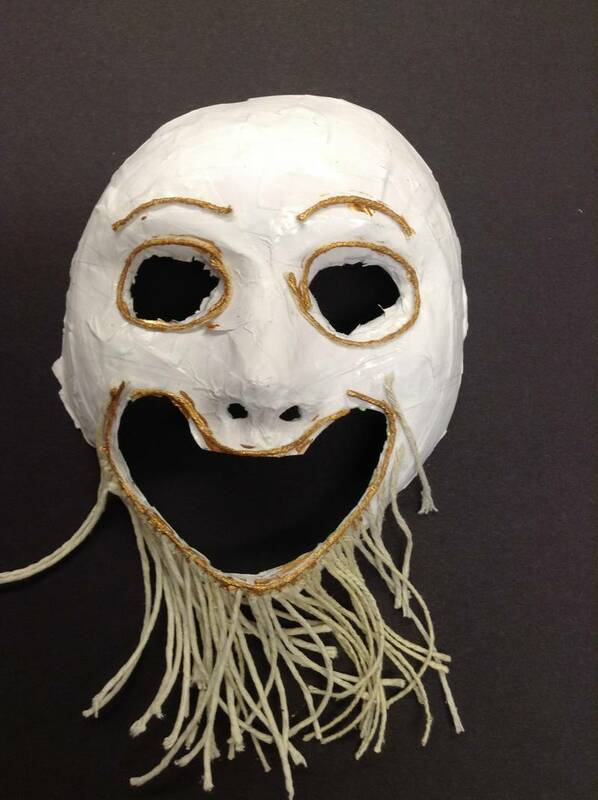 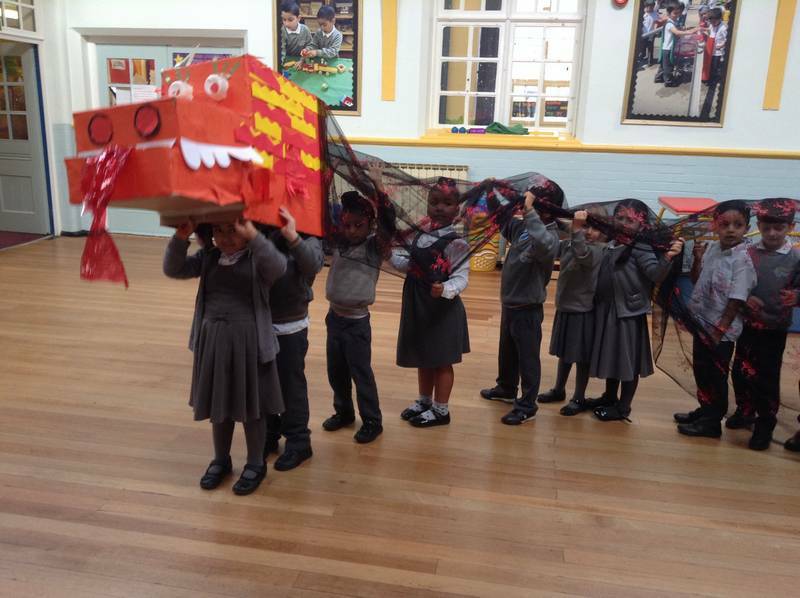 Innovative outcomes have included a large scale paper installation designed by pupils and created with the school community and puppet films directed and performed by pupils. 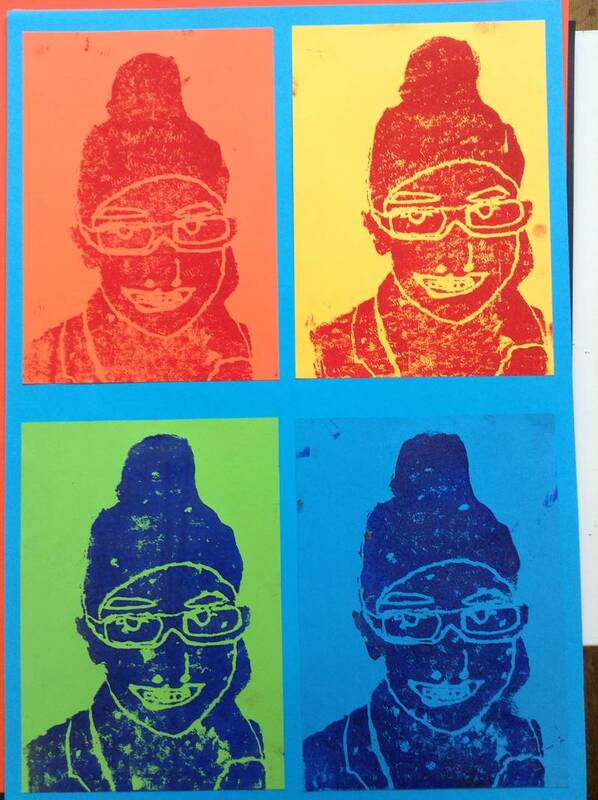 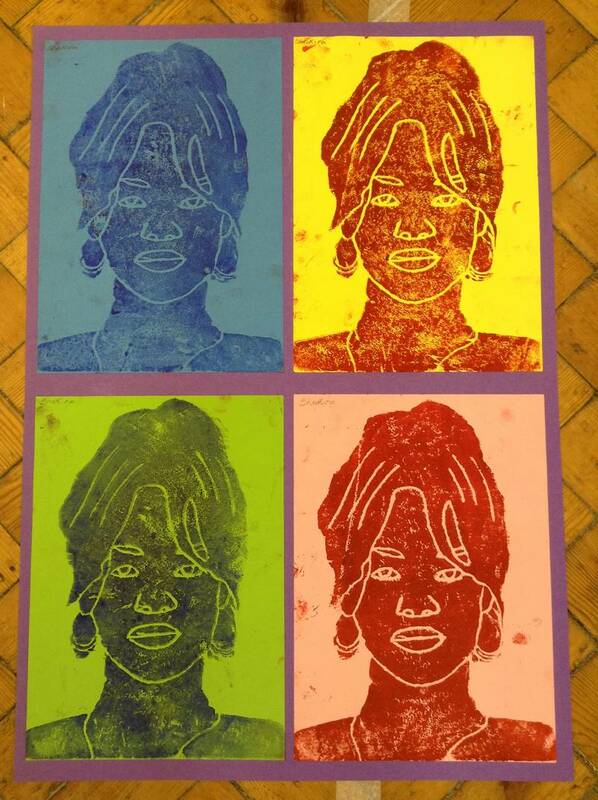 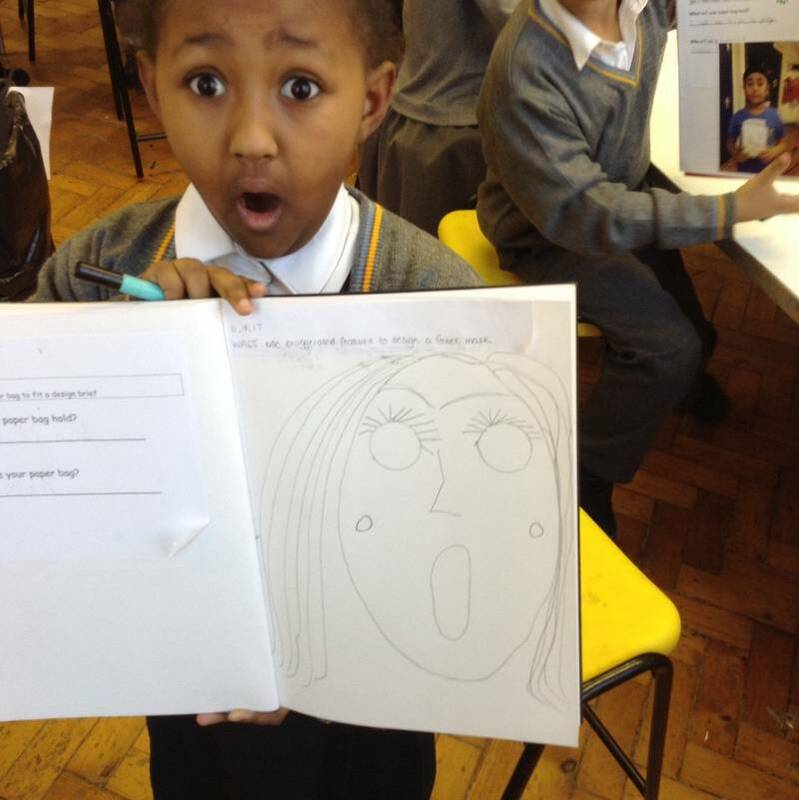 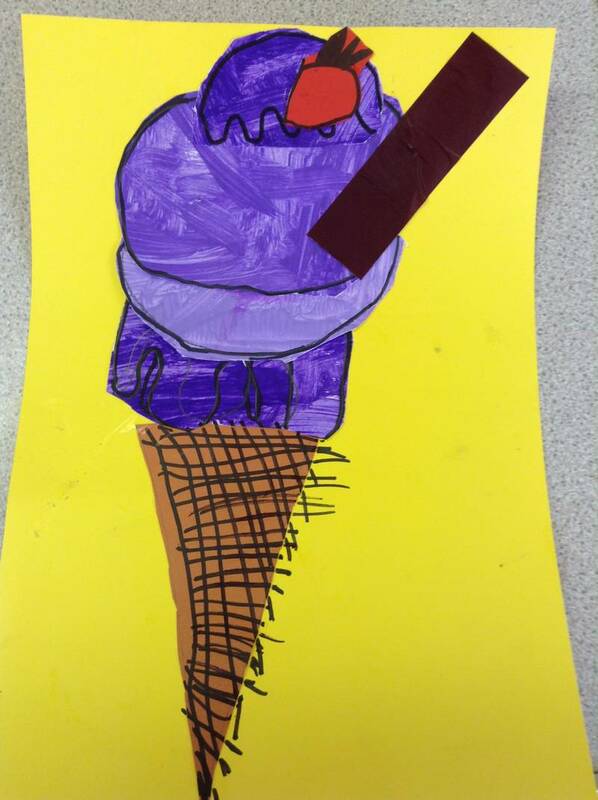 Pupils also really enjoy the pop art printing project linked to their PHSE topic of dreams and goals which has included famous faces aswel as self-portraits. 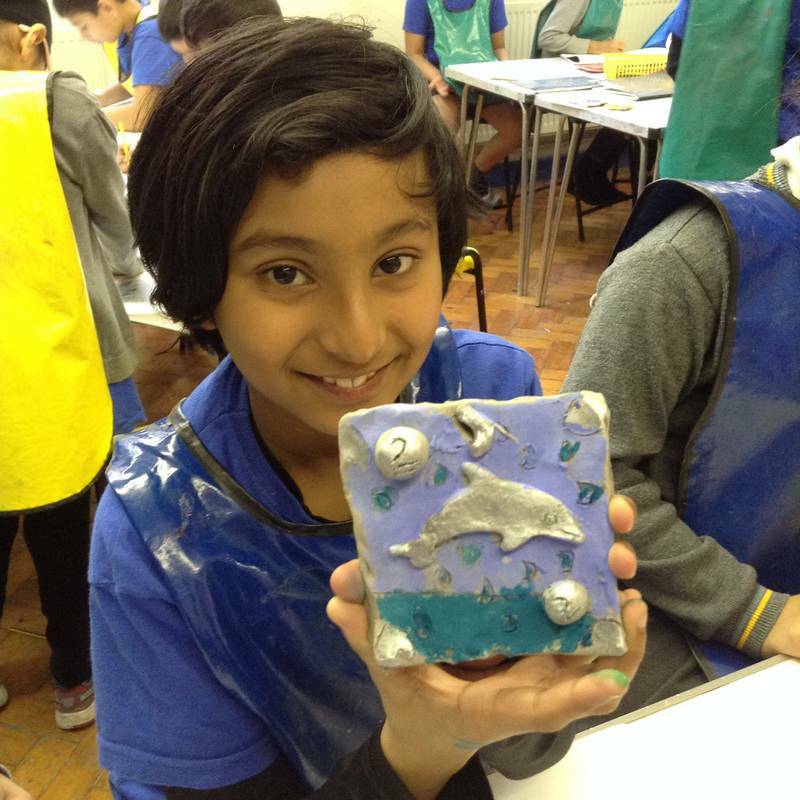 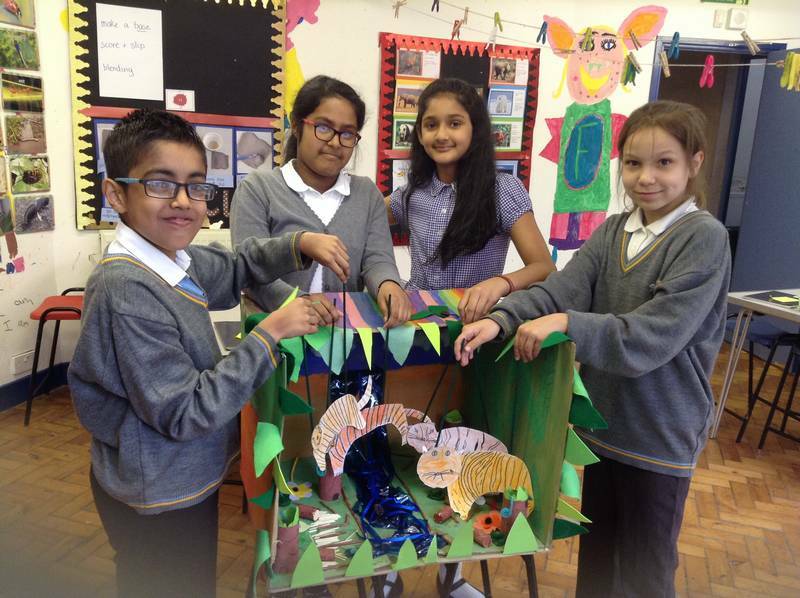 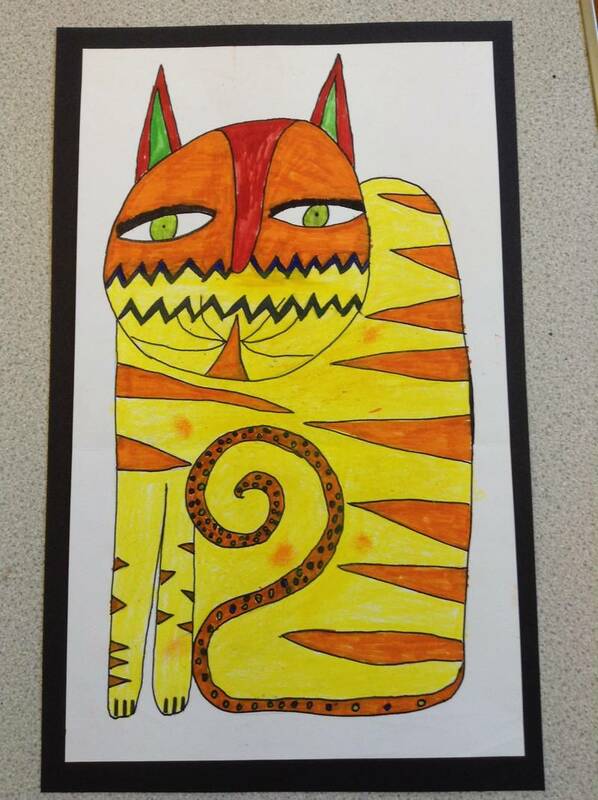 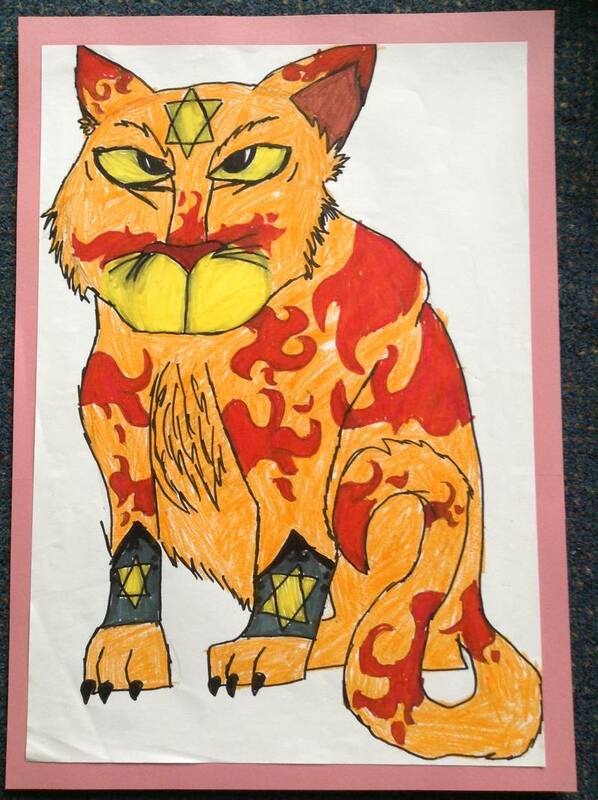 In year 6 we build on all the skills and knowledge that we have developed so far and engage in mixed media projects with the freedom to choose outcomes thus developing our creativity, imagination, communication and teamwork. 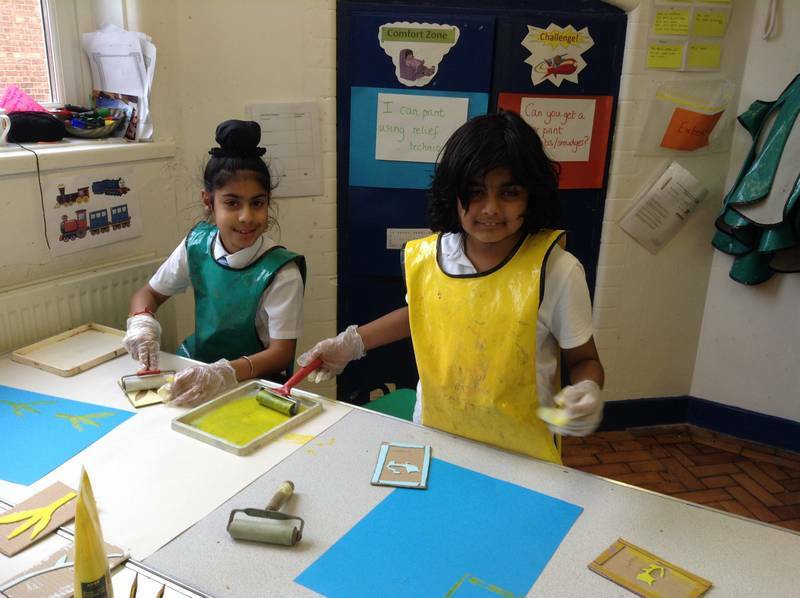 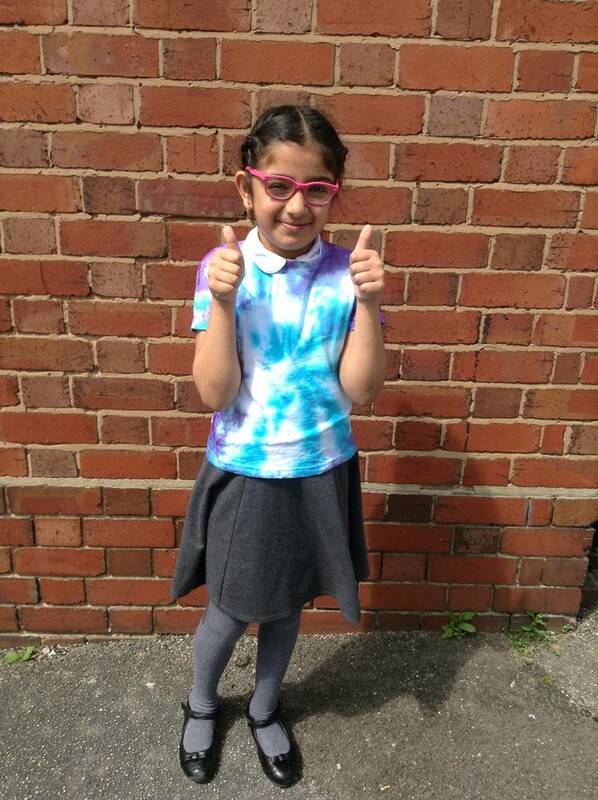 This includes leading our end of year community event collaborating with a team of specialist teachers and professionals to craft an innovative outcome which is intended to fuel the learning of younger pupils in the following academic year. 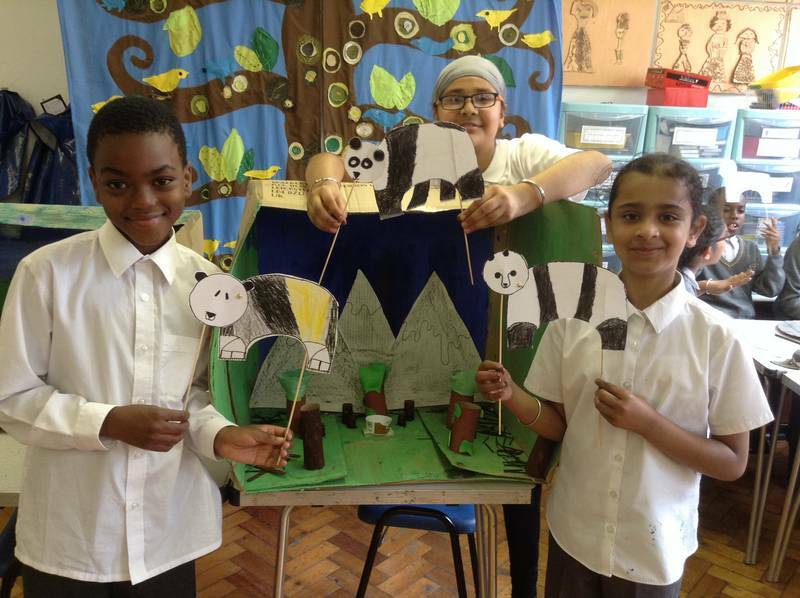 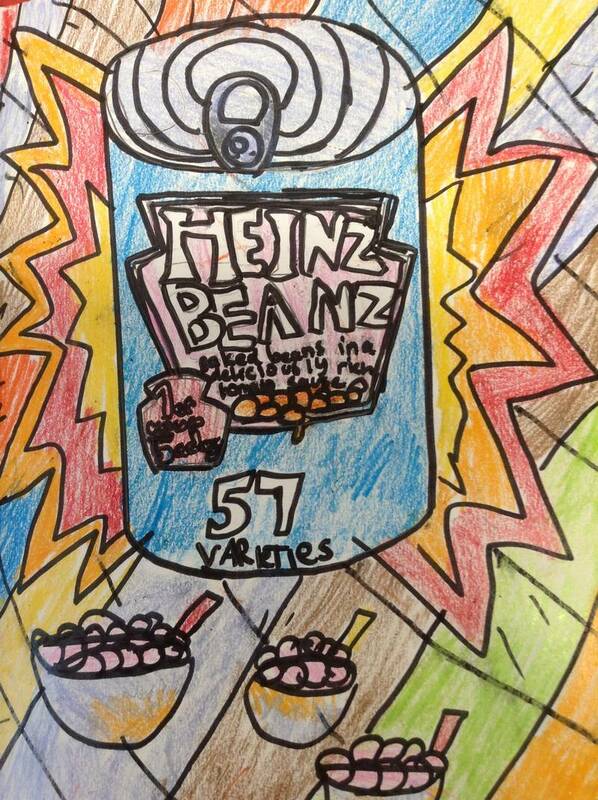 Past projects with ‘Secret City Arts’ have included a green screen film about the history of the local area using pupils own drawings. 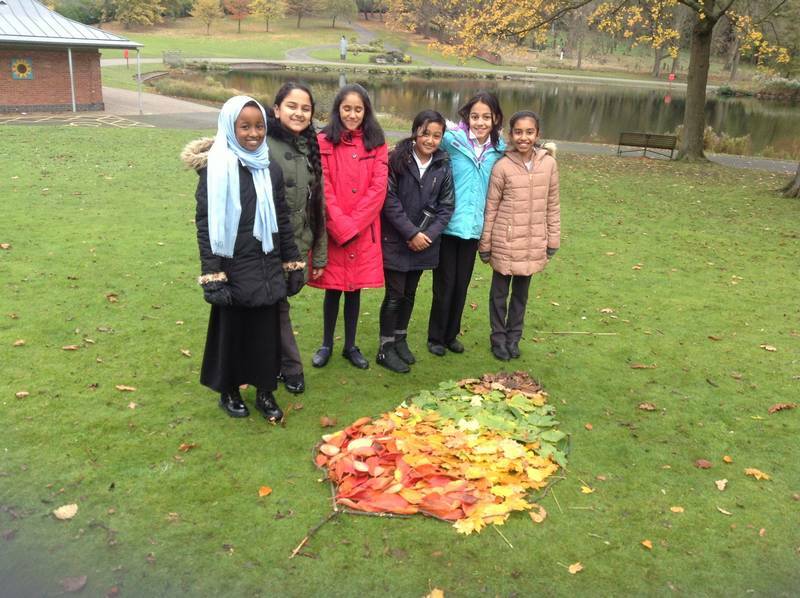 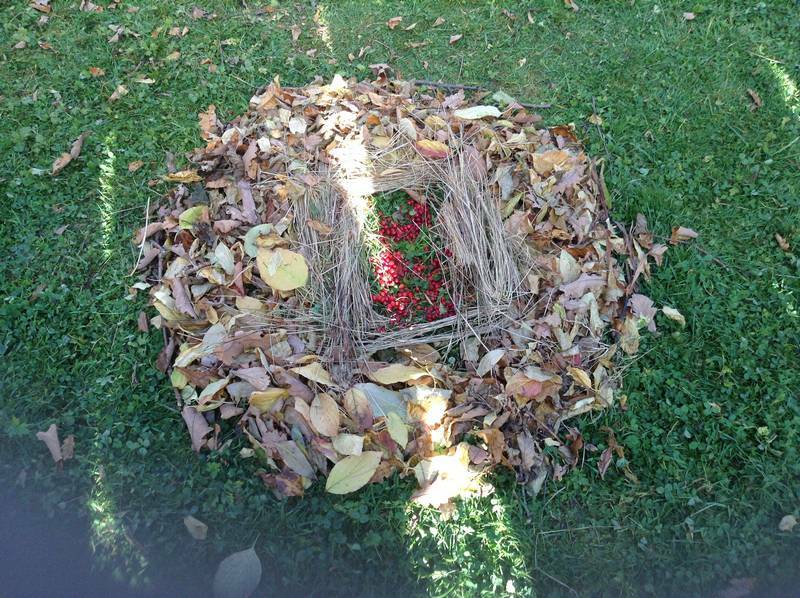 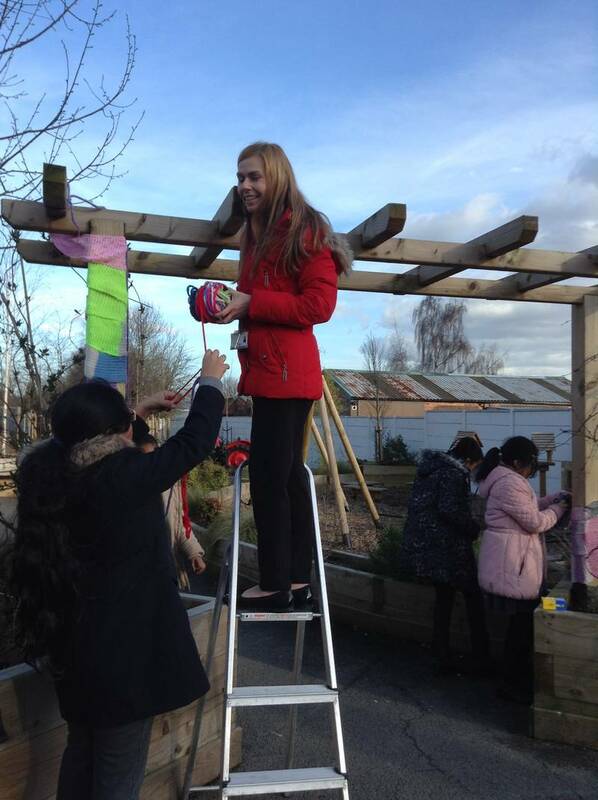 Highlights of the year also include creating Goldsworthy-inspired natural sculptures outdoors linked to our ‘Human Nature’ topic, and expressing ourselves and capturing our personalities in our own Laurel Burch style cartoon cats and dogs.